It’s pretty difficult to go wrong with a macaroni cheese, I mean really, it’s in the name (granted I used penne but let’s just think of it as Jumbo Macaroni.) 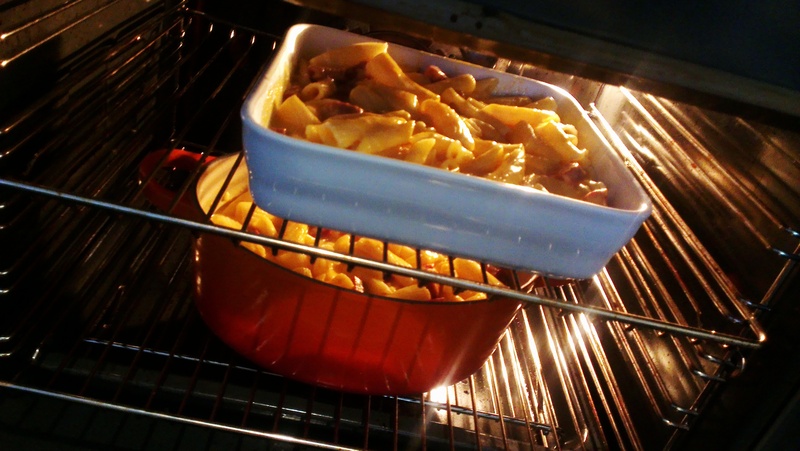 Nonetheless, that doesn’t mean we can’t make a macaroni cheese go righter…rer. 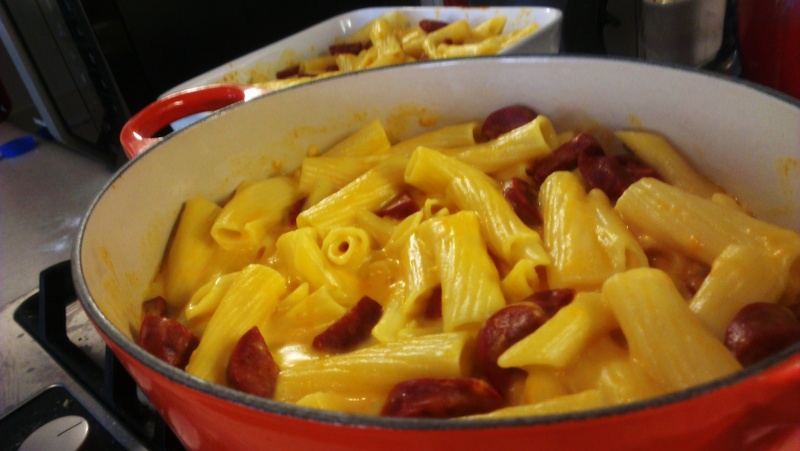 With the simple addition of some booze and spicy sausage, we can turn something from School-Lunch average to Dinner Party Superb. 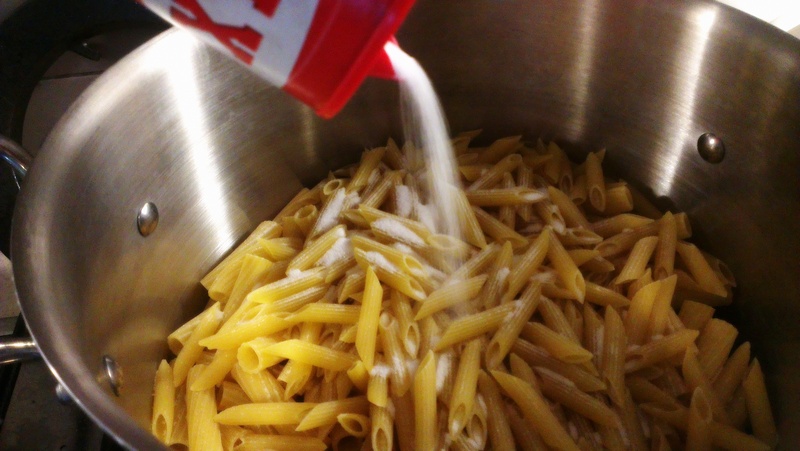 Set the pasta boiling in VERY well salted water. It makes a difference, I promise you. 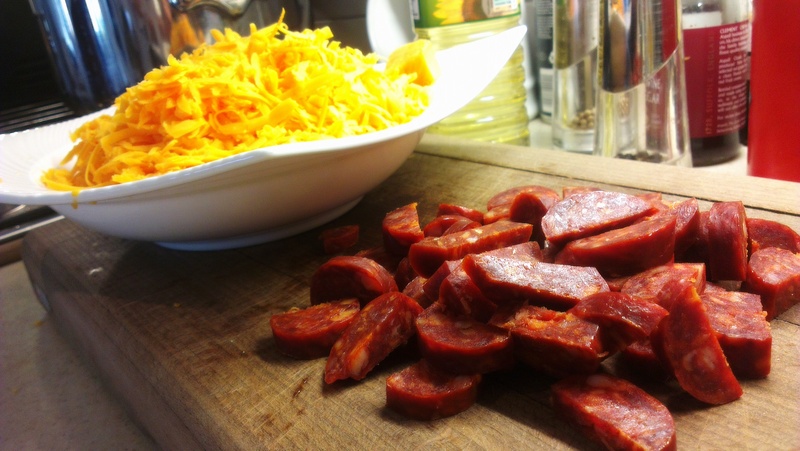 Grate the cheese and slice the chorizo. 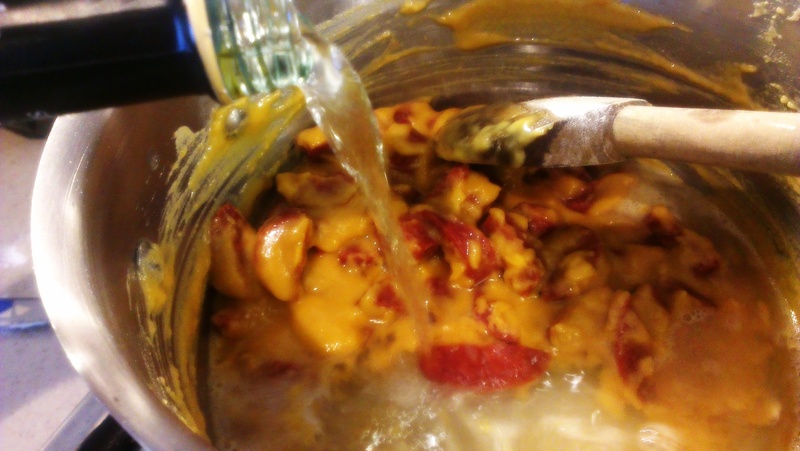 In a pan, melt a fairly large amount of butter and add the chorizo. Fry well, until the butter is turning orange from the chorizo juices. Add a similar amount of flour as you did butter and stir in well, cooking on a medium heat until the mixture becomes very thick. Pour in the white wine (a glass or so) and continue to stir for a few minutes. It should still be very thick, forming easily into peaks. Slowly pour in COLD milk, and stir gently over a medium heat. 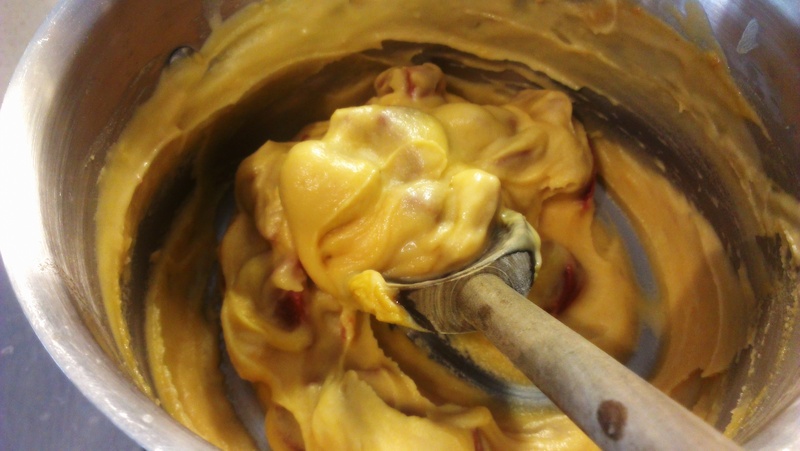 Continue until the mixture has thickened to a soupy texture. 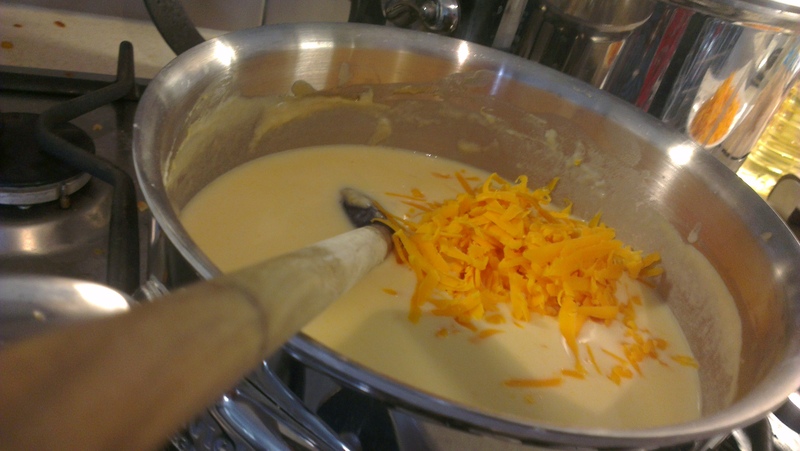 Add the cheese and reduce the heat. Stir through until thoroughly incorporated. 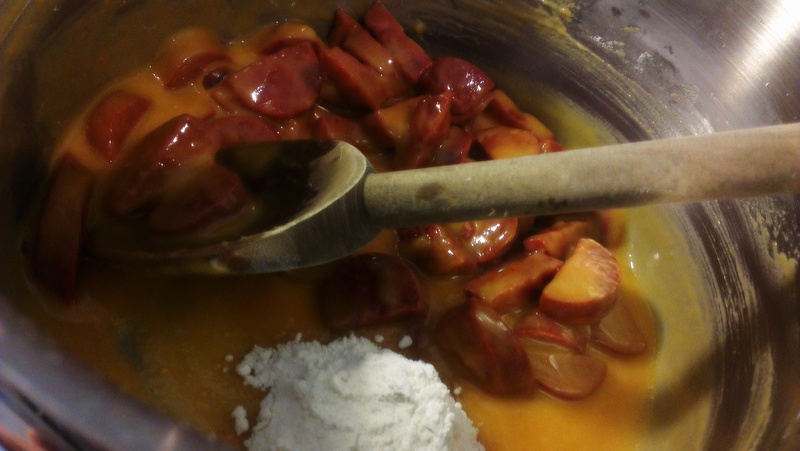 The mixture should be velvety. 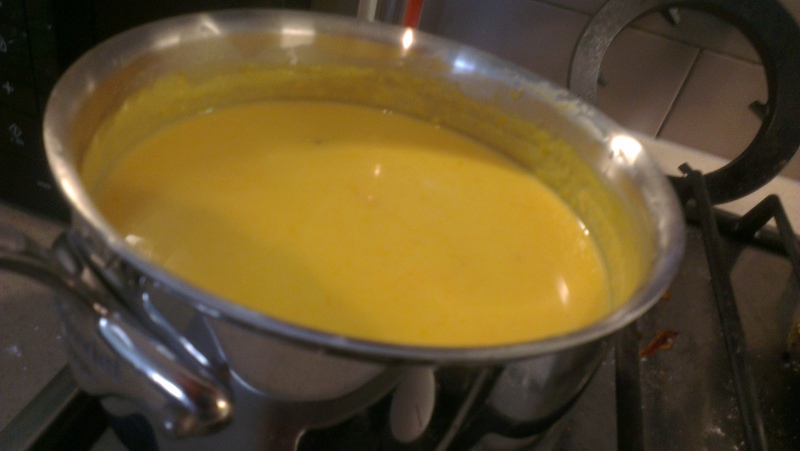 To thicken at this stage, either mix some cornflour and water in a dish and stir through, add more cheese or reduce the mixture. Drain the pasta and put into an oven safe dish. Pour over the sauce and mix, so all the pasta is covered. Bake in the oven until to your liking – for an extra treat sprinkle with breadcrumbs first. Serve in medium sized bowls with a refreshing drink, as this really is a VERY rich dish. If you must have more carbs, of course garlic bread will work. This will keep for 2 or 3 days in the fridge, and can easily be heated in the microwave. 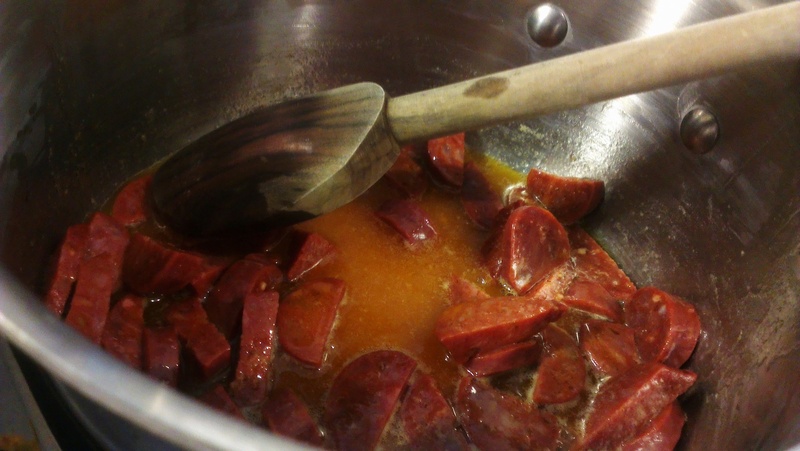 Whilst the taste is still there when cold, the sauce gets a tad too thick. What do you like to spice up your pasta with? Let us know in the comments below. 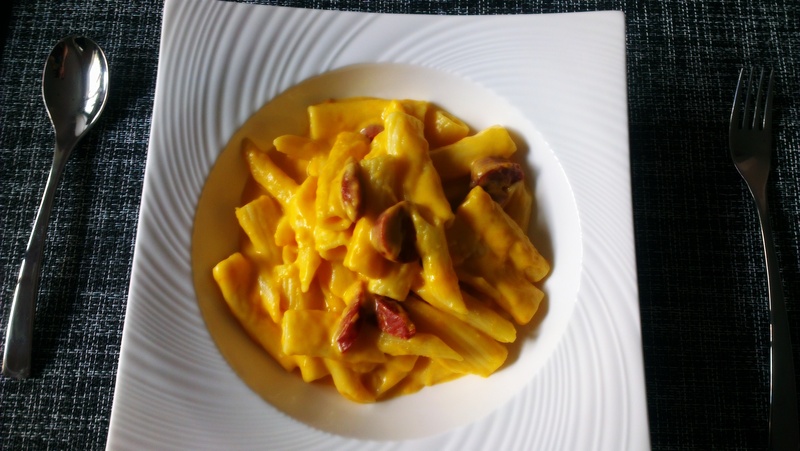 Posted in Guesscipes, Mains, One Pot, PorkTagged cheese, chorizo, guesscipe, macaroni cheese, pasta, recipe, red leicester, rich cooking, soul food, wine, wine cookingBookmark the permalink.